Described as an oasis of calm in the bustling City of London, Haberdashers’ Hall is a fusion of avante-garde with stately tradition. Hosting one of the oldest livery companies in London, Haberdashers’ Hall was first opened in 2002. The modern building hosts one of London’s oldest livery companies - an effortless combination of old-versus-new that was designed by celebrated British Architect Sir Michael Hopkins. The result of this is seamless: a combination of modern architecture, traditional materials, and state of the art technology. Within a stones’ throw of the iconic St Paul’s Cathedral, and within short walking distance from Farringdon and Barbican tube stations, the Hall has exceptional transportation links. The whole venue can be hired for an event. Alternatively there is the Courtyard and Orangery, Livery Hall, Reception Gallery, Court Room, Luncheon Room, and Committee Room. The Courtyard and Orangery is your perfect place to host an amazing summer party. The Courtyard is a beautiful space, with a bold, modern water feature that is the focal point of the whole venue. It blends beautifully with the citrus trees and greenery that feature throughout the adjoining Orangery. The entrance to this space is gated - which gives an air of exclusivity and serenity - it is the physical separation from busy London. It is a beautiful, all-weather space, with enough room for up to 450 guests. The orange brickwork sets the ambience quickly at night, giving a beautiful glow to the venue space. It is not just the space that is stunning, but the food too. From interactive food stalls, to a fun and vibrant summer BBQ, the chefs at Haberdashers’ Hall will cater to your every need. This venue also is an excellent choice for a work conference. Haberdashers’ Hall is the ultimate 21st century venue; the combination of modern architecture with the history of the venue create an inspiring venue choice. 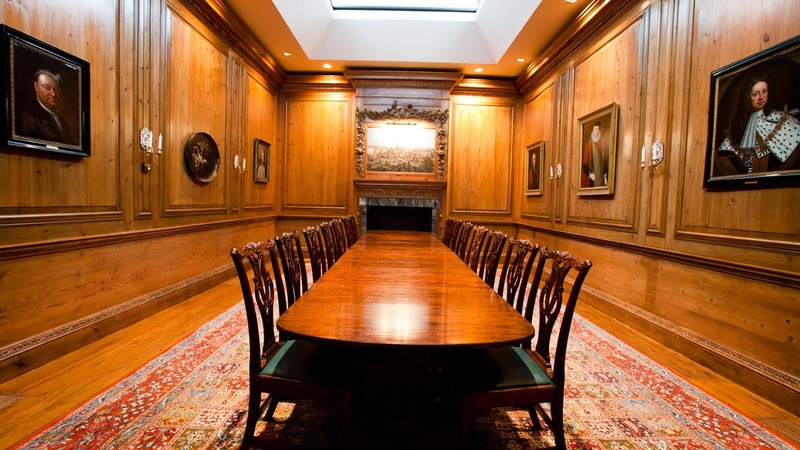 The Livery Hall is simply stunning, it is the largest and most impressive conference space. 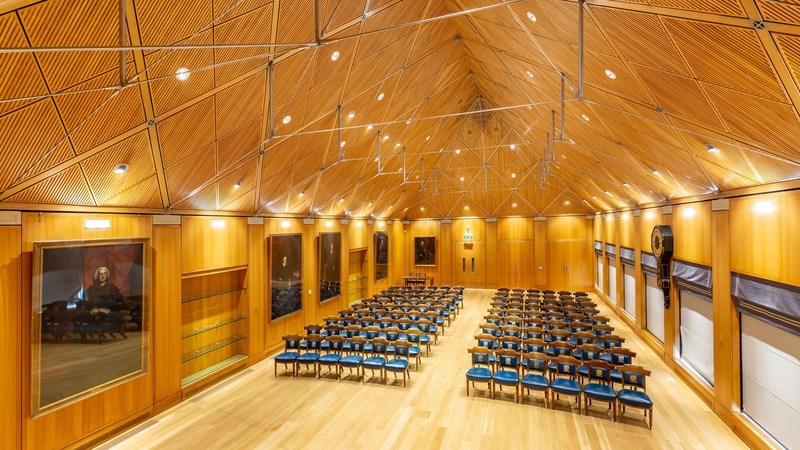 The magnificent high vaulted ceiling, oak panelled walls and views of the Courtyard make the conference space stand out. There is the availability for three extra breakout rooms, and the Orangery makes for the perfect welcome room. All conference spaces lead from the Reception Gallery, which is the perfect space for that all important networking. The whole venue is minimalist, making it the perfect space as it is just so flexible. The package includes the state of the art technology, with an LCD projector with stand, lectern microphone, and an on hand technician. There is also the option to make your event extraordinary, with offerings such as vinyl impressions, entertainment, speakers, hosts, conference stages, sets, and artworks. 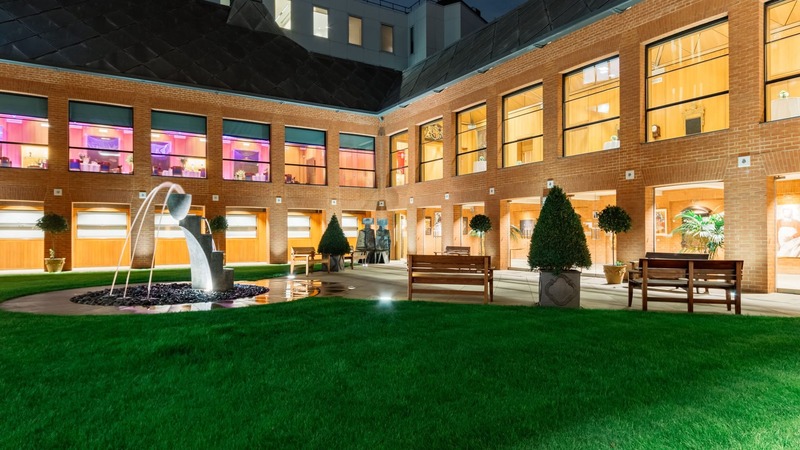 The team at Haberdashers’ Hall want to create impactful event experiences that meet your aims and objectives as efficiently and professionally as possible. Whether it be for a private or professional event, the team fully want your event to reach its potential.